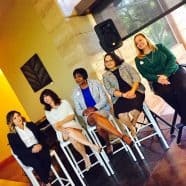 Home » Blog » Women Leaders: Why We Need Them; How to Be One! Learning to be a great leader takes training. There are countless leadership training courses, classes, videos, books and even degrees available for people who truly want to be great leaders. Much of the training available is excellent; especially when looking for training from some of the icons of leadership such as Darren Hardy, Dale Carnegie, Tony Robbins and more (I am sorry if I left out your favorite this time around). When you look at the majority of the great training out there, it was developed by men for men. Women can still use it, of course, but very little of it addresses the differences between male and female energy and how that changes leadership. With all of the great training resources out there on leadership, why in the heck don’t we have more great leaders? More specifically, why do we have to look so hard to identify and name great female leaders to learn from? Women make great leaders. This fact is becoming more irrefutable as the male-dominated business world comes to its senses and starts to realize that corporations, political parties, and all organizations benefit greatly by including women leaders in the top offices and board rooms. Female leadership energy is different from male leadership energy and having a solid mix of both makes leadership inclusive and stronger. Women have been banding together with some very exceptional men to level the playing field and open the doors of opportunity into leadership for everyone for a very long time. Yet, progress has been slow. The time has long passed that it made sense to have more women leaders, but here we are. How do we speed this train up? What in the world is truly in our way? One of the biggest blocks I have seen in working with women entrepreneurs of all ages and women executives, comes down to this: We have been trained this way. Since we were little girls, we have been getting messages that have created blocks to leadership not only for us, but for most women. How do the messages do this? By pitting women against women. How do you stop the most powerful force there is? Get it to fight itself. We have been trained to do this and we all are affected. We have been trained in two extremes and it is time for find our balance. Our extremes include our “good girl” training and our “mean girl” training. We have all had both. In between these two extremes, our most powerful self exists! One one side of the extreme is our Good Girl. Good girls don’t talk back. They don’t argue. They don’t show anger. They are complacent and they are grateful for every darn little crumb of nothing that is bestowed upon them. They don’t show other people up by being too successful. They have opinions, but they are too polite to voice them if they are not in alignment with the rest of the room. They want to say “no”, but they are more concerned with hurting someone else’s feelings than they are about burning themselves out, so they over-commit and lay themselves out for the benefit of others until they are too exhausted to breathe. Mean girls can wage war from stealth mode. They are on the other extreme from our Good Girl. Mean girls can injure their opponent without ever being identified as the attacker. They can divide and conquer. For the meanest of the mean girls, it becomes a game as they sabotage the success of other girls just because they can. They gossip and exclude and pat others on the back with all claws out. They are envious and mistrusting of other women. They have been trained to believe that resources are scarce and that there is only room at the top for the chosen one or two. Forget it, just one. A country can’t have two queens, after all. But wait, there’s more. Some girls have been trained so well that they don’t even realize they are mean girls, just as some good girls don’t realize they are slowing down women’s progress by being overly accommodating. Again, it is an awareness that we need to be brave enough to truly see. Some of us are so well trained in the finer art of higher level strategic thinking that we may not even realize that the tactics we are using to get our way or our methods to “keep the peace” are causing unnecessary damage to all of us. Nobody wants to be believe that they have the making of a doormat and a tyrant inside; but we all do. From the time we were three years old, we started to learn the difference between boys and girls and what was expected of each. We were taught to be pretty (but not too pretty), to be smart (but not too smart), and to be polite so that others would think well of us. What other people thought of us was ingrained as more important than what we thought about ourselves. That’s just bad training, isn’t it? Let’s help each other unlearn that. Once we got to school where there were other girls, we were quickly trained to protect ourselves from them. Girls fight differently than boys. Boys yell, they hit, they get bigger and in your face. Girls fight with carefully placed words and social hierarchy of inclusion and exclusion. Judgement is our sword, where boys are more apt to use fists. Girls gather together and, if she is a mean girl, she will be your friend until that fateful moment when she is NOT and you run the risk of being ostracized from the entire group. You learn quickly that the fastest way to stay “safe” is to play the game (joining in on the gossip and trying to stay in favor of the girl in charge) or you separate and identify yourself as someone who “doesn’t belong”. Either way, the message of “you are not good enough” is a strong one and we are trained to feed it to each other. We are taught that our worth is something determined by someone else. The older we get, the better we get. We either learn to embrace our own self-worth and support each other, or we hone our skills of manipulation, sabotage and exclusion to mastery levels. While this might move one mean girl to an elevated status, it bogs down the progress of women’s leadership as a whole. Staying on the extremes of Mean Girl or Good Girl keeps the stereotype of women leaders as “troublemakers” or “untrustworthy” or “too emotional” or “too weak” alive in a male-dominated business world looking reasons to keep us at bay. We must un-train from this thinking through choosing different actions. It is no big secret: A band of powerful, well-connected and strong women moving together for the good of everyone is exactly what the world needs; and it is exactly what scares the misogynistic system into continuing the messages that divide us. It begins with awareness. We must be courageous enough to identify within ourselves where we are too much the Good Girl and where we slip into the Mean Girl within our own thoughts, attitudes and behaviors. One of the keys to this is understanding your own power and how you use it. Embrace your own personal power, respecting the power of those around you and help lift up those women who are struggling to find theirs. Women become unstoppable when working together; we need to use our power to support women who are leading the way and make sure to keep our internal mean girls in check while doing so. Another key is accurately assessing your own level of self-esteem. Your courage to Un-train will require you to find the parts of you that need to be strengthened and then it will take more awareness and a firm choice to make changes for your greater good. Third, we must all get better at identifying the gaps around us and being brave enough to fill them with pro-active, confidence-building support for ourselves and each other. Stop the gossip, the cliques, the exclusionary tactics that divide us and find a way to reach across to other women. The change begins with us; every one of us. We can change this in ourselves, assist our women friends in shifting too and leading the way for the next generation of women coming up. All aboard the Un-train! Let’s go!